Is the wait finally over? What did Bethesda say regarding Elder Scrolls 6? They revealed….it’s gonna be a thing! That’s all we learned, but we’ll take it. A short thirty-second trailer, premiering during Bethesda’s E3 conference last night, showed off a large render of a (likely) very small portion of the world they’re hard at work crafting. “Look at me, aren’t I pretty?” it says. 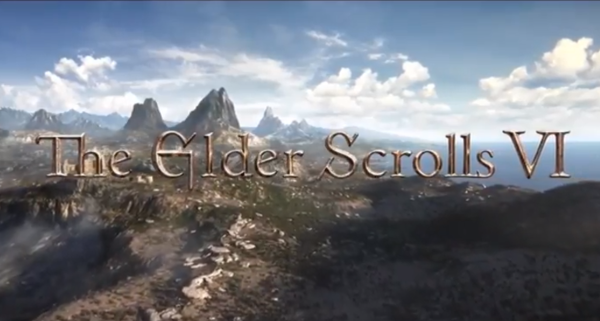 It’s been a long time since the main Elder Scrolls series had an update. Elder Scrolls 5: Skyrim was released back in 2011 and is now playable on every device known to man, including smart fridges. The time to move on has been long overdue, and though this is a very early announcement, it’s good to know they’ve got it on their to-do list at last. There is no release date, and there probably won’t be one for a while. But if you’re desperate for something TES to chew on, Bethesda revealed Elder Scrolls Blades during the same conference. It will eventually come to consoles, but it’ll launch on mobile devices first, which signals it’s not nearly as deep or complicated as a traditional Elder Scrolls game is. Gameplay comes in three modes: The Abyss, an endless roguelike where you just try to survive as long as you can, Arena, where you can battle other players, and The Town, featuring quests and stories. Elder Scrolls Blades will be released this fall, and the mobile version will be free to download. Not sure what confirmed date its releases? Or nothing yet has been confirmed?